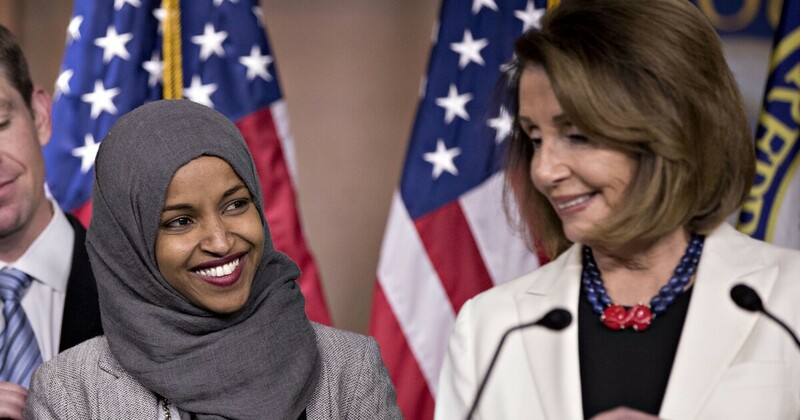 House Speaker Nancy Pelosi said Friday, she is trying to get in touch with Rep. Ilhan Omar to discuss her latest attention – get the tweet on September 11 terrorist attacks that have drawn new setbacks to freshman Minnesota Democrat. "I have not had the opportunity to talk to her," said Pelosi, D-Calif., Friday when asked about the Omar's tweet, which has attracted strong criticism. "We tried to reach her, she was in transit." 1; and the people knocking down those buildings will hear us all soon!" Omar tweeted "Was Bush falling down the terrorist attack? What if he was a Muslim" under the Bush quote delivered at ground zero. Tweetet quickly took criticism and came just one day after Omar was the subject of a New York Post cover depicting the fiery twin towers and the legislature's comments before a Muslim law group that "some people did something" on September 11, 2001 The commentary was widely regarded as playing the great and horror of a tragedy that claimed nearly 3000 lives. Omar claimed that after 9/11 Muslim civil liberties led  Pelosi has not yet commented on Omar's latest comments and tweets, but plans to respond at some point, she said. "As I am used to my colleagues, I call them in before I call them," Pelosi said. . "I will get some comments after I speak to her."